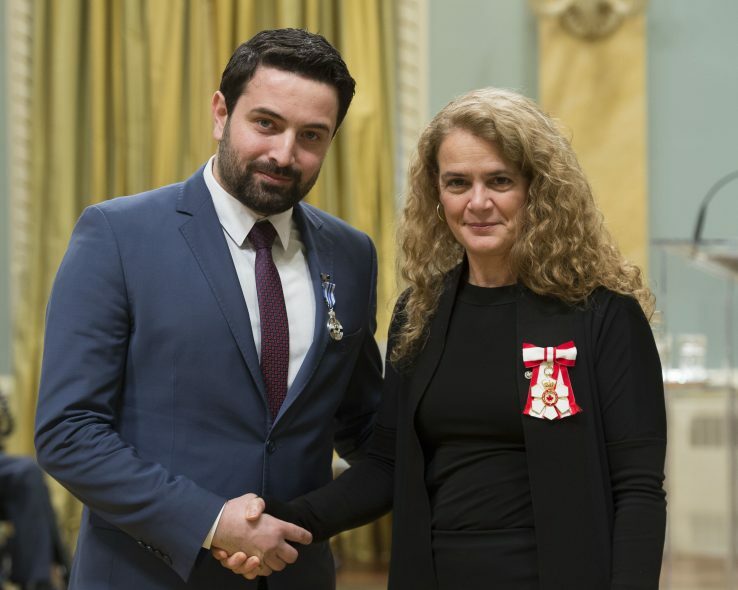 On December 12 in Ottawa’s Rideau Hall, Dr. Khaled Almilaji a Master of Health Informatics student at the Institute of Health Policy, Management and Evaluation (IHPME), was awarded the Meritorious Service Medal by the Right Honourable Governor General Julie Payette. He, along with Dr. Jay Dahman and former paramedic Mark Cameron were recognized for their civilian efforts in providing medical relief and educational training to disaster stricken areas around the globe, particularly Syria. 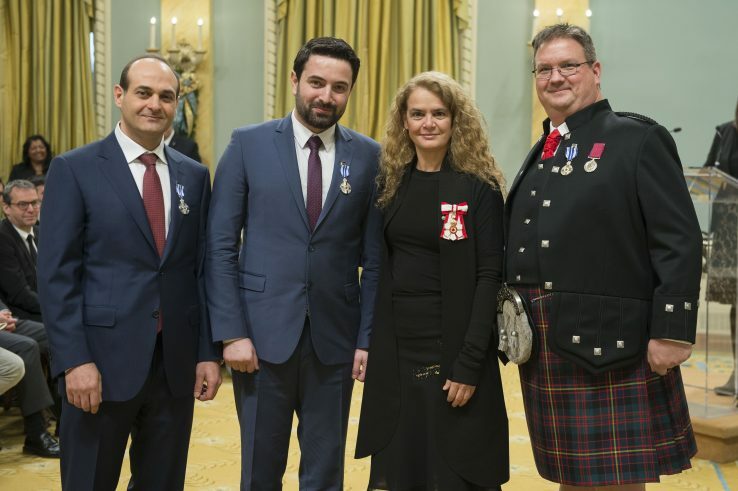 The ceremony honoured 23 recipients of the Meritorious Service Medal many of whom have found innovative solutions to challenges facing their communities or country. In 2014, Dr. Almilaji and his colleagues, Dr. Dahman and Mr. Cameron, founded the Canadian International Medical Relief Organization (CIMRO) in order to provide much needed medical supplies – such as the life-saving drug tranexamic acid which stops bleeding in those who are critically injured – and training to other front line health care workers, often at great risk to their own lives. December 12, 2017 Ottawa, Ontario, Canada. Her Excellency presents the Meritorious Service Medal to Khaled Ahmad Almilaji, M.S.M., Mark Joseph Cameron, M.B., M.S.M. and Jay Dahman, M.S.M.. Originally a specialist in otolaryngology (ear, nose and throat conditions), Dr. Almilaji quickly found himself in the role of a trauma physician tending to wounded civilians as the crisis in Syria worsened. In 2013 a polio outbreak spread throughout the country, rampant in areas where poor health conditions and government bans on the vaccination had been in place. In response, Dr. Almilaji spearheaded a polio vaccination program with the help of CIMRO, inoculating over 1.4 million children in a door to door campaign that involved over 8, 500 health care workers on the ground. This past June, after being caught in the throes of a U.S. travel ban on Syrian citizens, Dr. Almilaji joined the Institute of Health Policy, Management and Evaluation in the Dalla Lana School of Public Health to complete the Executive Master of Health Informatics degree.